You gotta love a book that makes you investigate a new hobby! Geocaching is something I knew my brother had enjoyed. 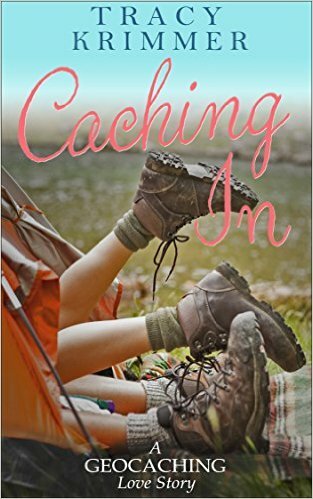 After finishing this book, I had to ask my brother about his Geocaching experience and he said, “Yes it was fun, was a great reason to go walk around state parks and not just walk but have an adventure while walking.” Geocaching is like a treasure hunt…People leave “caches” in various locations (like parks) , and you are to go and “hunt” for it. Tracy Krimmer writes a truly delightful story. It was a fun read, the kind you look forward to getting back to when you have to step away. We meet Ally Couper (not to be confused with Ally McBeal..lol). She and her fiancé had broken up 8 months ago due to his philandering ways. She had what seemed like a dead end job as a Bank Teller, and was just going through the motions of life. Until she goes on her first Geocaching hunt, and meets Seth. She is immediately attracted to him….they go out on a first date…which may be their last. I fell in love with her best friend, Chelsea. I am sure a lot of people don’t care much for her, as she is dating a man that already has a girlfriend..so, she is the “other woman”. She was in this relationship for about two years. Ally hated that she was dating him. It had to be hard on her, being that her fiancé was found cheating on her. I did have a hard time wrapping my head around their friendship, as it seemed to be fueled with a lot of resentment..but I realized by the end of the book, that most friendships go through these stages. This story had a lot of intriguing story lines, and I was immersed in it from page one. 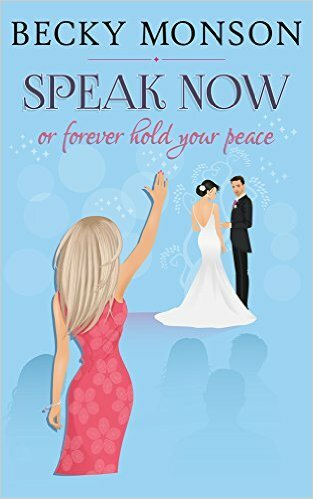 If you want a fun, quick witted, chick lit read… This is a Must!! I am already reading book two in this series, “Jay Walking”…and loving it! I am so happy I met Tracy Krimmer along the way….Her books are a delight! COMMENT BELOW FOR A CHANCE TO WIN A SIGNED COPY OF HER BOOK!!! You will adore Margaret, this interview was alot of fun!! I am reading her book, “A Man of Character” right now…and looking forward to getting back to it with my cup of coffee!! Wait. I’m a novelist? Bwah ha ha! I’m not sure when the transition from “I’m giving this a go” to “I think I’m actually a writer” fully happened. The main turning point was probably when I typed “The End” on that first draft of A Man of Character, way back on December 31st, 2012. Sure, I was still naïve enough not to realize how far from The End that first draft’s “The End” actually was, but I had also accomplished something I wasn’t positive I could do, and that was write a complete romance, with a beginning, middle, and end. As to calling myself an author? That came the day my book released; no more was I a writer striving for publication—I was a published author, baby! Q: As you geared up for your Book Release on May 26th, 2015, what was the most exciting part(s) for you? Hands down, the day my physical proof copy showed up in the mail. I ripped the package open, and there it was—my book. MY book, with my name (okay, pen name) on my cover, and all the words in between that little old me had written. I was so excited that I ran right out the front door and halfway down the street to show my husband and daughter (they were chatting with a friend). And I. Don’t. Run. A close second was watching the pre-orders tick up. Sure, they were probably all from friends and family, but who cares? Knowing thirty people were willing to take a chance on my book before it even hit the (virtual) shelves? That was thrilling! Q: Will you always write romance with a bit of whimsy? Is that your favorite topic to explore? Whimsy. What a wonderful word. And, gosh, I sure hope so. I absolutely adore romances with witty interplay between hero and heroine, that back-and-forth dance of verbal seduction, and hope to someday be half as good as Julia Quinn at writing that kind of prose. I also love romances that don’t take themselves too seriously, that can have fun in the middle of all the chaos and heartache, that can poke fun at themselves (like Eloisa James’ recent Four Nights With the Duke). That doesn’t mean I don’t appreciate a good, heavy, angst-ridden read—I do (think Laura Kinsale’s Flowers from the Storm). But books with that magical balance of humor and emotion always hook me. Please let me live up to that wonderful descriptor for my writing—I would most definitely love to be known for writing whimsical romance. Q: Did you know someone like “Cat”? True answer? Yes. Very, very well. Cat is me. And Eliza is me. Hey, they say write what you know, and especially for my first book, it was very easy to tap into the person I both know the best and often understand the least: myself. Cat is the Eeyorish side of me, the side that falls down into pessimism, that worries, that struggles to believe good is a comin’. Eliza is me on chocolate. Okay, rather, she’s the Tiggerish side of me, the side that is optimistic, that believes in true love and happily ever afters, that cracks sarcastic comments and consumes entirely too much cheesecake, and is basically a goofball. Of course, as I was writing, each character took on a life of their own, so by the end, are Cat and Eliza truly me? Yes and no. There are elements there, similarities, but no, now they are definitely their own people. I think. Well, the authors I most want to emulate are what I call my Regency Triumvirate: Julia Quinn, Sabrina Jeffries, and Eloisa James. Of course, now Sarah MacLean, Erin Knightley, and Tessa Dare are nosing their way in there, so it’s more like a Regency Sexumvirate. Uh, is that a word? If not, it should be. And it sounds, ahem, perfect for describing romance writers, doesn’t it? 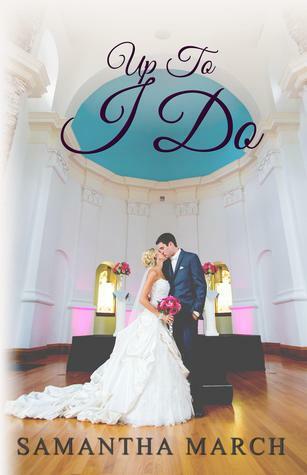 However, my first book is not the Regency historical I always thought I’d write. No, of course not. The first one is a lightly paranormal contemporary romantic comedy, because the book’s premise (what if a woman discovers the men she’s dating are characters she created long ago?) hit me over the head and wouldn’t let go. Given that I don’t read a lot of lightly paranormal contemporary romantic comedy, it’s hard for me to know if I sound like anyone else, although a recent reviewer said my writing reminded her of Cecilia Ahearn. (I promptly picked up a number of Ms. Ahern’s books and added them to my Leaning Tower of To-Be-Read Books, but haven’t gotten to them yet.) I can only assume someone saying I reminded them of a popular writer who’s had books made into movies is a good thing, right? Oh, wouldn’t it be lovely if I could tell you I adhere to a regular daily schedule? Wouldn’t it be lovely if I did? Most of the time, my primary writing time is the morning, and, ideally, you’ll find me down in my Writing Cave (desk in the one room in the basement that has no windows, so yes, literally a cave), typing away. Or, I admit, checking Facebook and Twitter far too often, and then maybe typing away. Occasionally, when I can’t go another hour without sunlight somewhere in my vicinity, I settle into the big, falling-apart armchair in my living room, and type, type, type away there. I have a zillion. I listed six above, who are all Regency authors. In the ‘80s, when I first fell for romance, I couldn’t get enough of LaVyrle Spencer, Johanna Lindsey, Catherine Coulter, Susan Johnson, Pamela Morsi. I fell in love with Lisa Kleypas, Jane Feather, Betina Krahn, and many more. Then I <cough cough> went on a romance hiatus for about five or so years. 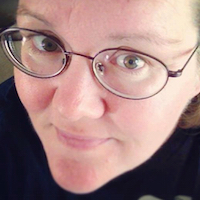 I had small children, but also, some silly part of me felt like now that I was married and a mom, I ought to give up the romance. Luckily, stumbling across Julia Quinn’s “The Duke and I” cured me of that dumb notion, and launched me into a love affair with a bevy of new-to-me authors, like the Sexumverate above, and new names I discover all the time. I just wish I had more time to read. Scratch that: I wish I took more time to read—writing has definitely sucked away a lot of my free time, but I must admit, if I stepped away from the computer, if I gave up my evening habit of delving into a BBC show episode or two, I’d get more reading done. I do, however, read for at least 5-10 minutes every day. It just needs to be more. As for specific books? I did blog about my 5 favorites once (http://margaretlocke.com/what-are-your-top-five-favorite-romance-novels-of-all-time/), but I’m sure I could add more to the list. I tend to fall in love with authors more than specific books, but the one book I refused to give up when on that idiotic self-imposed romance hiatus was Lynn Kurland’s Stardust of Yesterday. On the practical side, I love that I get to do something that fits in with my family’s schedule and needs. I’ve been at home with my kids since they were born. Now that they’re older (9 and 14), they’re much more independent, but it’s still much easier to have me available (for taxi service, meal prep, deep philosophical discussions) than not. Oh, also on the practical side? I love that bras and showers are sometimes optional. On the emotional side, first and foremost, I love the fact that I followed through on a dream I’d had since I was a teen. I love the ecstasy of the first draft, of amusing myself with something I’ve written, of watching characters and scenes and story come alive. And second, I love the people that writing has brought into my life. Writing, by nature, is a solitary activity, perfect for the introverted half of me. But the extroverted half craves interaction and connection, and I cannot believe how much my life has changed for the better now that I’ve added so many writing-related friends to my life. Whether in person or online, whether talking to writers or readers, it’s been such a blessing to me to surround myself and be surrounded by people who love what I love. Can a girl get any luckier than that? A Matter of Time is set for a fall debut, although I don’t have the date narrowed down just yet; I’m waiting to see what my editor says about the draft I sent her this afternoon. In it, A Man of Character’s best friend/sidekick extraordinaire Eliza James gets her own shot at finding her happily ever after – in England. With a Duke. In 1812. It’s long been Eliza’s fantasy to live out a love story worthy of the Regency romances she loves to read. Every girl deserves her own Darcy, right? Only what happens when the Duke in question turns out to be less than Prince Charming? There’s room for both. I admit, I love a physical book. That’s one of the key reasons I turned down the digital press that offered to publish A Man of Character: I couldn’t imagine not holding this book in my hands. However, I, who once swore she’d never get into reading online (the eye strain, people! ), now happily own far more Kindle titles than I ought, and I enjoy reading them on my iPad’s Kindle app. I do worry that digital reading makes books feel more disposable and less valuable (especially since their price points are often so low). And hey, you just can’t beat snuggling in bed with a good book propped open over your face, and a cat sitting at your side, right? Still, let’s not make it book versus ebook; let’s make it book plus ebook. The more, the merrier, baby. 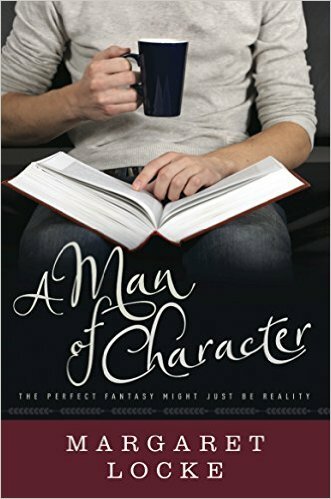 Thank you so much for letting me blather on here on your blog, and for reviewing A Man of Character! I’ve had a blast! 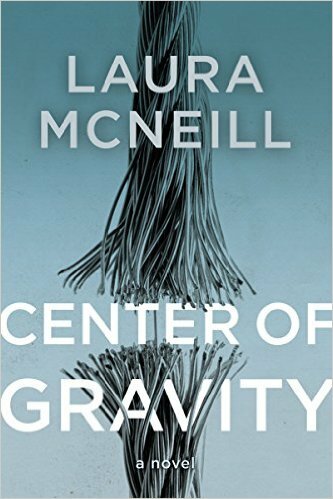 Laura McNeill is now a favorite author of mine. She had me sitting at the edge of my seat, reading this book everywhere…I hated putting it down. This is a truly gripping story from beginning to end. Laura McNeill tells this story from the view of each character involved, which made each of them more real. Ava is a woman fighting for her life and two children. Ava met Mitchell at the school where she worked and his son, Jack attended. Mitchell had lost his wife to a devastating death, and seems to be the perfect man…good looking, hard worker, charming. He seemed to be the perfect mate for any woman. Ava also fell in love with Jack, his 8 year old son…so, after they were married, Ava adopted him. Then, she got pregnant with their son, Sam, who is now 1. They seem to have it all, a beautiful home and a great family life. Until things are no longer great and beautiful! Mitchell becomes increasingly angry, jealous and mean towards Ava for any reason he feels deemed fit. He does not pay any attention to his children. Ava wants to give Mitchell the benefit of the doubt, and believe it is because he lost his last wife, stressed at work, or stressed with the new staircase going in to the house. She wants to believe that this is just a phase. Until he moves out and takes the children with him! Now, she knows this is not a phase. This is where the book takes off because you absolutely cannot look away! I promise that you will be so enthralled in this story, that the outcome cannot come fast enough! Can Ava save herself and her children from this monster of a man? She has to fight to get her children back, as she does this, she learns more about his past….and, it is all rather disturbing. She is finally seeing the real Mitchell. Ava states “I will wear their love like armor”…and, she does just that. But, will it be enough?